Hosting Christmas? Then we’ve got some amazing food ideas to help keep you calm this festive season. So if you’ve got a bit of time, a bit of patience and a LOT of icing sugar, then read on! We love the idea of of this – topping a tasty chocolate brownie with a nice juicy strawberry and using the shape to create a delightful looking Christmas tree by piping on ready-made green icing and crafting some colourful baubles and a star out of sugar paste. Perfect! It would pretty much be criminal not to enjoy a cheeky mince pie at Christmas time but that doesn’t mean you have to stay traditional when it comes to this classic sweet snack! 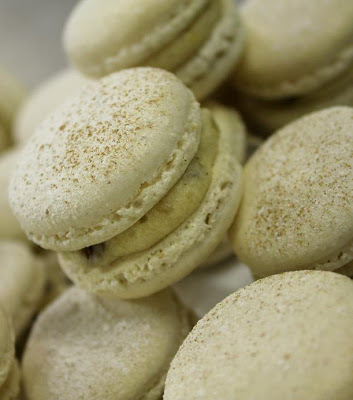 If you’re a macaroon master, or perhaps if you’re just testing your skills by creating this patisserie favourite, how about mixing things up by flavouring the macaroon shell with some mixed spice, stirring some top-notch mincemeat through your buttercream and sprinkling on some cinnamon to finish? We love this idea because it’s simple but straight away brings a big smile to your face! 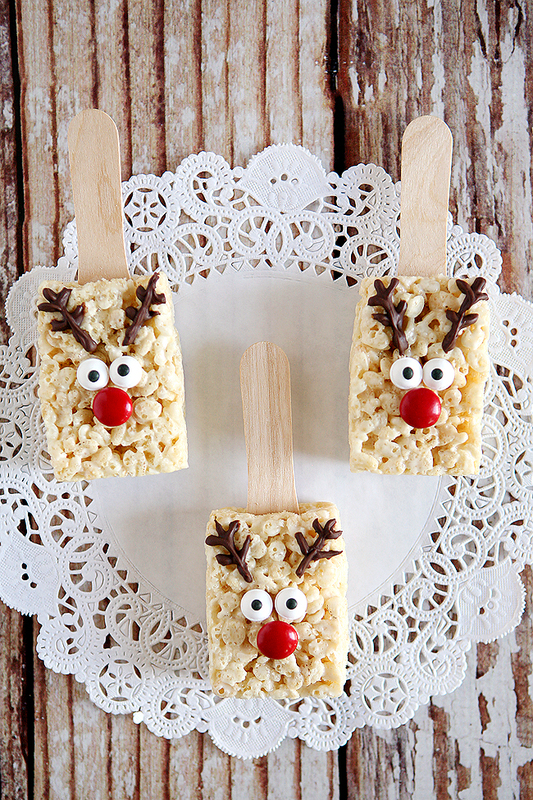 Simply adding a lollipop stick to some store bought rice krispie bars and then decorating them with some sweets and candy to make a little reindeer face. So cute! What a great idea! 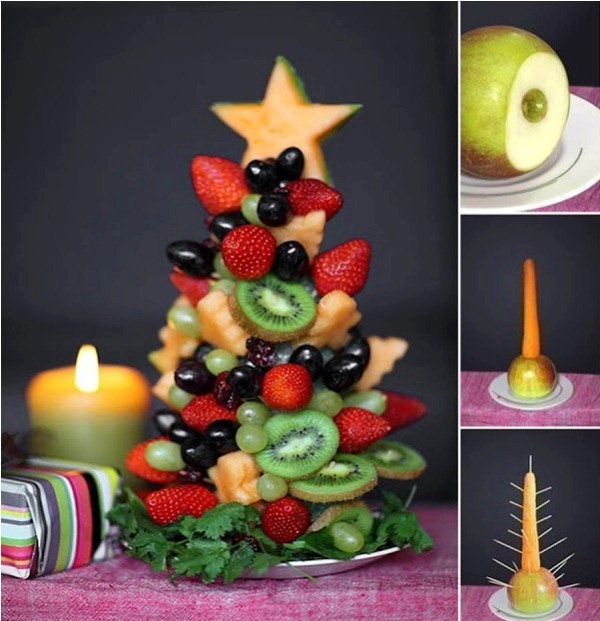 This creative blogger managed to fashion a Christmas tree centrepiece out of just fruit to make a festive desert that’s both healthy and eye-catching. You’ll need a steady hand and a lot of patience for this, but the process starts by building up a frame for the display using an apple and a carrot and then poking cocktail sticks out of the carrot at various intervals to create the ‘branches’. After that it’s about layering on any fruits you want onto the sticks – think strawberries, grapes, kiwi fruits and raspberries! Admittedly there’s an element of ‘Jenga’ fear with this one that you’ll go to far, but so long as you have a solid base and keep things balanced you should be fine. 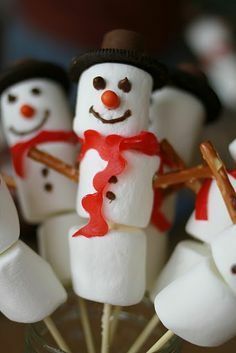 This super-cute creation comes from TastyShare who came up with the idea to use marshmallows on cocktail sticks – and a few delicious decorations – to craft some cheeky looking snowmen for a late-night Christmas Eve snack. Give it a go! 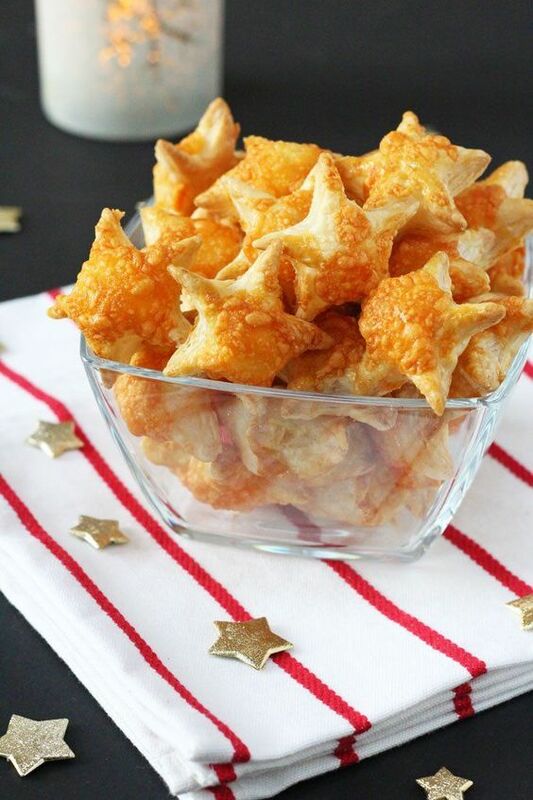 Another kooky Christmas idea, this time from Pinterest pro MyFussyEater – who uses ready-made puff pastry shaped into stars, covered in cheese and coated in egg wash before being baked to make a cheeky little snack – perfect for Boxing Day. 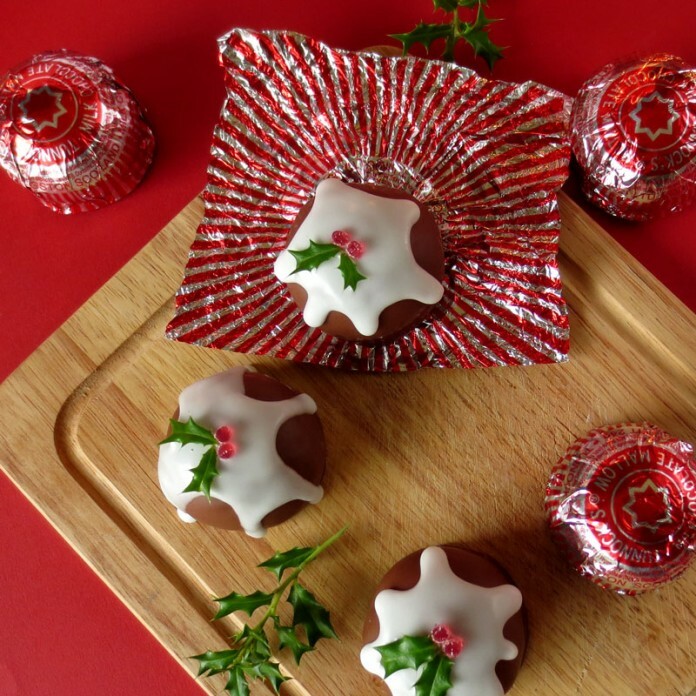 Blogger Nikki McWilliams had the lovely idea to coat a batch of the classic Tunnocks Teacakes with some nice thick white icing, topped with some cut-offs from strawberry laces and some decorative holidays. 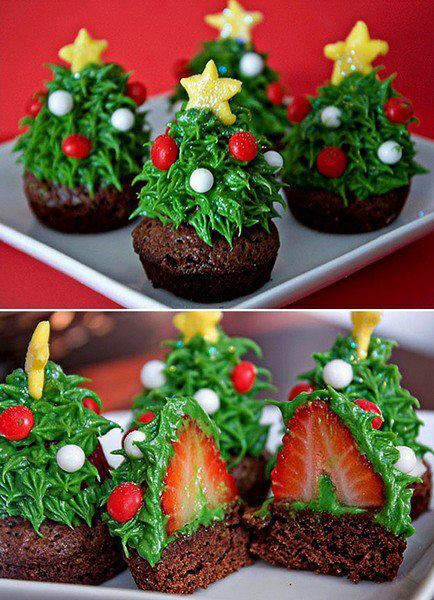 A perfect festive snack for a Sunday evening. Bravo! 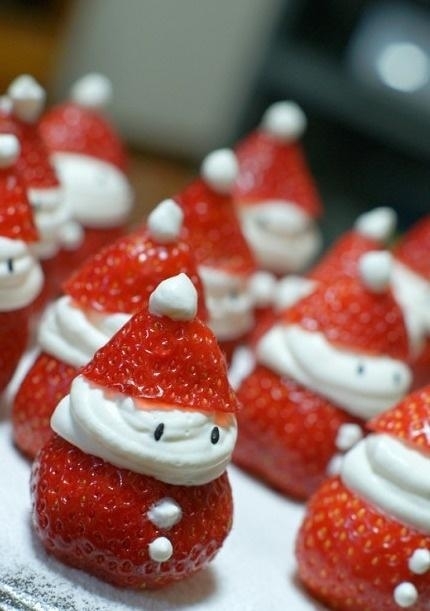 Over on CraftingIsMyLife they had the adorable idea to use a strawberry with the top cut off (and turned upside down for a Santa hat) and filled up with fresh cream… or maybe even some Italian meringue. And there you have it – a Father Christmas snack!